This is an amazingly manicured property with main dwelling that is 1818 SF and 600 SF garage apartment with living, dining, bedroom, bath and kitchen. Main Home has corner fireplace and laminate floors in living area. Master bath has shower and jacuzzi tub. 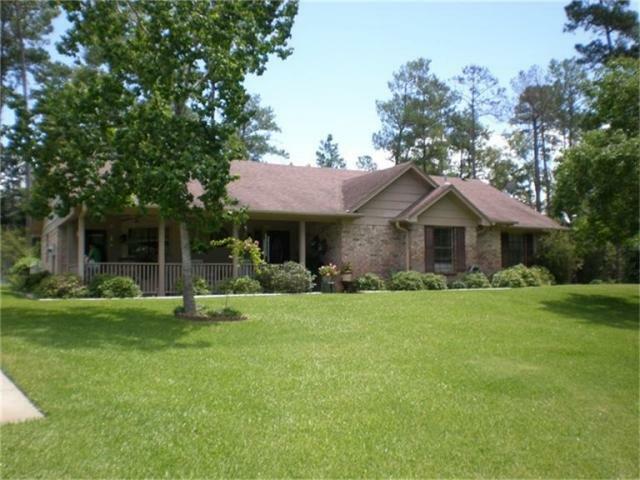 This property is wooded with area around home cleared with nice shade trees. Home over looks pond with fountain. Public water and also water well for watering yard with 55 sprinkler heads. Equipment Shed, fenced yard and storage building. 1058 FM 3186, Onalaska, TX 77360 is a 1 bedroom, 1 bathroom, 600 sqft farm/ranch built in 1992. This property is not currently available for sale.